The easy-to-use HM40 is a compact and portable humidity meter that provides reliable measurements in a wide range of applications. It is the ideal spot-checking tool for everything from structural moisture measurement and air conditioning systems to humidity measurement in industrial production processes and life science applications. There are four dierent models available: HM41, HM42, HM45, and HM46. 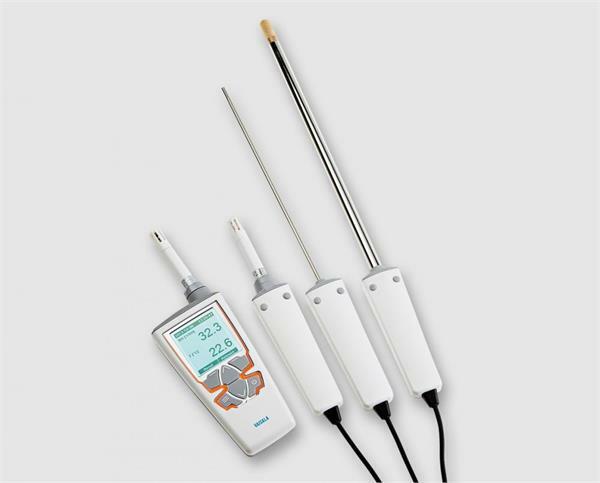 • Temperature measurement ranges -40 ... +100 °C (-40 … +212 °F), depending on probe model. 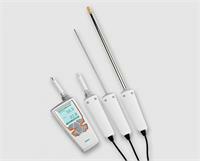 The HM46 model can measure up to +180 °C (+356 °F) for a short period of time.